Are you asking yourself, "Why should I vaccinate my pet?" Vaccinations are the best weapon against many viral and bacterial infections in pets. Millions of dog & cat lives have been saved through vaccines. Vaccines are safe and well-tolerated by most pets. Vaccines help your pet live a longer, healthier and happier life! Rabies vaccination is required by state law. 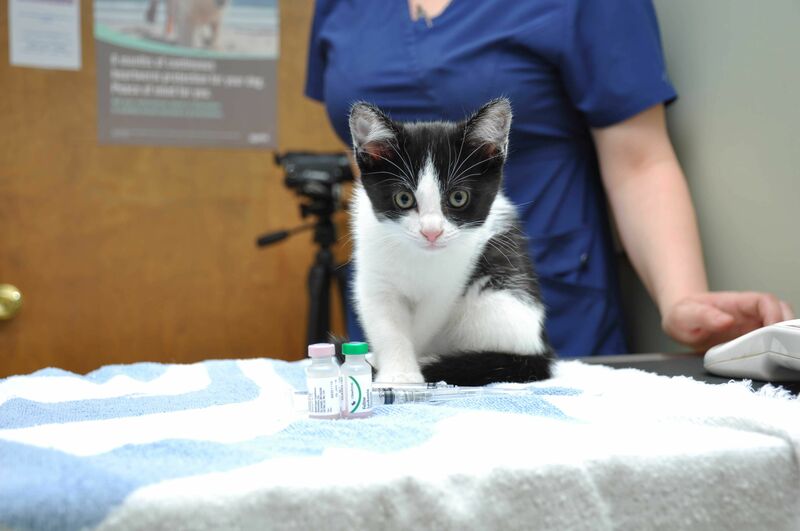 Vaccinations are highly important while pets are still a puppy or kitten, when their young immune systems are developing and need protection to stay healthy. Keeping your pet up to date as they age on their annual or scheduled vaccines is vital to their health, the health of all pets and even the people in our community. During an appointment, our veterinarians will provide you with vaccine education, discuss the scheduling of booster shots (if necessary for puppies and kittens) and discuss the need to return annually or on a set schedule. Our veterinarians will discuss with you your pet's history, lifestyle, prevalence of disease in Richmond and other factors like dog parks or where you travel and determine a proper vaccination guideline and schedule.